Delicious Chinese cuisine – 2 locations in Kalamazoo and Texas Township! West Main customers – Place your order online now for fast delivery! Welcome to Hunan Gardens – where the food is always freshly made to order with the finest ingredients. 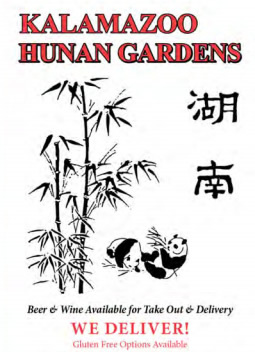 Hunan Gardens is a family owned restaurant established in 1992 and we are proud to offer authentic Chinese cuisine from various regions of China, including Taiwan. We also have gluten-free dishes. Hunan Gardens is pleased to present our new Cantonese Noodles and Grill menu for a more authentic taste and a unique dining experience. It is our pleasure to serve you and we hope you will always have a wonderful time here at Hunan Gardens!